I designed a form with 7 Pagebreaks and form collape. when I preview the form, I discover that I could only see the button to page 3 and others. Although when u refresh the screen, all pages will flash and go off. Here is the form link. What could have caused it and what do I do to fix it. Thanks. Unfortunately, we have discovered a number of bugs are triggered when form collapses and page breaks are used simultaneously. With this in mind, we advise that either one or the other be used in any one form until we can resolve the issues. I see that you have already removed the collapse elements from the form in question. However, there's another issue I discovered with the form that should be rectified but I have dealt with it in this other thread as it is unrelated to form collapses and page breaks. If you need further assistance with these or any other JotForm related matters, do let us know. any progress on the page breaks and collapses working together? Sorry to tell you that we still haven't receive a notification from our developers regarding on this. Don't worry, as soon as our developer ficed this, we will inform you immediately. I also have two page breaks to make the form more manageable. 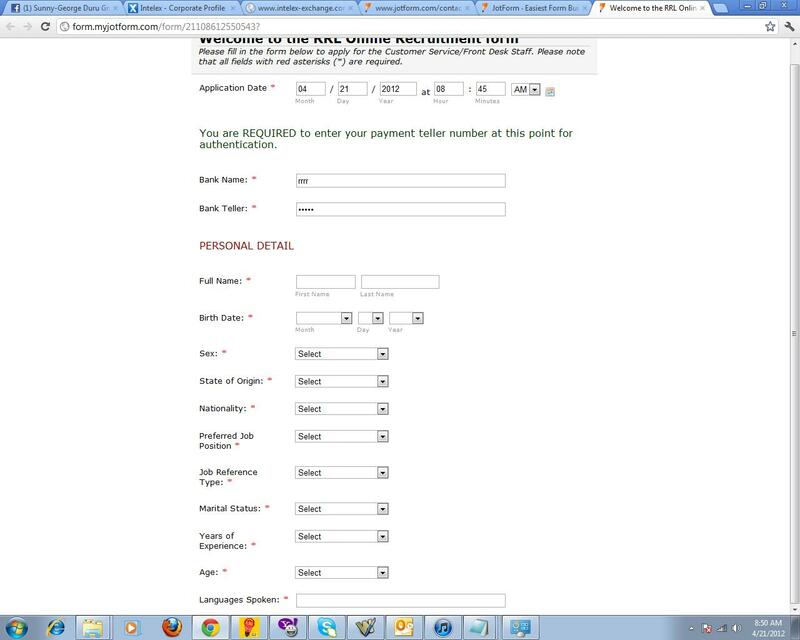 But the page break after the Form Collapse does not show up when previewing the form. This seems like a pretty major issue and I am dissappointed that it has not been resolved since April 2012 and now it is December. Our Developers are working pretty hard on the service improvements and new features. However, we can not provide any ETA for when the issue with Page Breaks and Collapse fields will be fixed, since they are working on their own priority list. I am going to send a reminder to them. Recently, they have implemented multiple Actions in Conditions, so you can use multiple Hide/Show actions in a single condition. If you need help with your form, please create a separate forum thread. We will be happy to help. I'm guessing there's still no fix? I'd really like to use this feature. I'm having another issue with Form Collapse- when I preview the form, only one form collapse shows when I have 3. Any help? Hi, this feature request is still in our dev team's for to do lists. I cannot provide you still any ETA though. But be assured that you will be informed iimediately when new update about it is available. As for this, I tried looking for your form that have the collapse field, but I cannot find it so far. The one form that have submissions already is the Child's Registration form -- but it has page break, not collapse field. You might as well create your own topic (click here) so we can focus on your own issue immediately. I deleted the other forms that I was having the issues with. After reading through several topics I assumed to wait until you came up with a fix. I did get the form working, and it shows all 3, but now I am just running into issues with the form collapse carrying to the next page. I'll wait until you come up with a fix, whenever that may be. We will inform you immediately as soon as this issue fixed. Both form collapse and next/back buttons aren't working in my form here. Please resolve asap. Everything is working right now. I've checked the conditionals in the first question and they're working. @katchacanvas Your form collapses and next/back buttons are also working. If you can't see the change please clear your browser cache and retry.